Landslide research is an interdisciplinary field that primarily encompasses scientists from geomorphology, engineering geology, and geotechnical engineering in collaboration with researchers from such fields as geodesy, hydrogeology, geophysics, and many others. 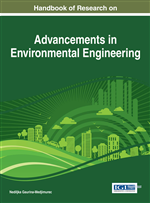 This chapter is intended as a resource for researchers interested in landslide engineering and landslide science to acquire a summarized review of research subjects and the state-of-the-art literature. A wide range of landslide topics are presented in the following sections: landslide mapping, landslide investigation, landslide monitoring, landslide hazard and risk assessment, and landslide stabilization and remediation measures. The results of landslide studies have practical applications to society via the avoidance, prevention, and mitigation of landslide hazards and risks. Landslide avoidance and prevention are the primary interests for land-use policies based on landslide mapping, followed by the prediction of landslide processes and their consequences. Landslide mitigation includes the development of engineering technologies for landslide investigation, monitoring, and remediation. The surface of the earth, both on land and beneath the oceans, continually undergoes modifications by mass movements that operate in response to gravitational forces. Landslides represent one type of these mass movements and describe ‘the movement of a mass or rock, debris or earth down a slope’ (Cruden, 1991). In this chapter, the term ‘landslide’ will include all types of gravity-caused mass movements, ranging from rock falls and topples and a variety of slumps and slides to flows of different materials. Varnes (1978) provided an idealized schematic presentation that displays the features of a landslide in soil material (Figure 1). The system of landslide classification devised by Varnes (1978), completed by concepts defined in IAEG Commission on Landslides (1990) and Cruden and Varnes (1996), has become the most widely used system in the English language. Hungr et al. (2014) proposed a new version of the Varnes classification to reflect recent advances in the understanding of landslide phenomena and the materials and mechanisms involved, including 32 landslide types in rock and soil materials supplemented by examples and references. Landslides are a component of the erosion process, which is described as a continual leveling of the surface features of the earth. Although precipitation, earthquakes, and volcanic eruptions are the principal natural drivers of landslides, in many cases, landslides result directly from disturbance of hillsides during road construction or other human activities. Landslides occur in all geographic regions of the world in response to a wide variety of natural conditions and triggering processes that include storms, earthquakes, and human activity. These phenomena belong to natural hazards (i.e., geohazards) because this environmental process is responsible for direct damages that can be expressed in thousands of deaths and injuries each year and monetary losses in the billions (Schuster, 1996; Petley, 2012). Indirect damages include long-term economic disruption and population removal. According to the definition adopted by United Nations Disaster Relief Organization (UNDRO) in 1979 for all potentially damaging natural phenomenon or natural hazards (UNDRO, 1980), a landslide hazard is ‘the probability of occurrence, within a specified period of time and within a given area’. Landslide risk is the term developed to describe the expected degree of loss due to a landslide according to the following definition: ‘risk meaning the expected number of live lost, people injured, damage to property and disruption of economic activity due to a particular natural phenomena, and consequently it is the product of a specific risk and elements at risk’. Risk Analysis: The estimation of the risk from hazards to individuals, population, property or the environment (i.e., elements at risk). Risk analysis generally contains the following steps: hazard identification, hazard assessment, identification of elements at risk and its exposure, vulnerability assessment, and risk estimation. Landslide: The gravity-caused movement of rock, debris or earth down a slope, ranging from rock falls and topples and a variety of slumps and slides to flows of different materials. Landslide Magnitude: The measure of the landslide size which is common to describe quantitatively by landslide volume, encompassing main scarp and displaced mass. Landslide Hazard Assessment: The estimation of the zones where landslides of a particular type, volume, runout and intensity may occur within a given period of time. Landslide Investigation: Series of different exploration procedures aimed at characterization of subsurface conditions necessary to understand the mechanics of slope failure defined by kinematic landslide model and to develop appropriate engineering remedial measures. Landslide Susceptibility Assessment: A quantitative or qualitative estimation of the spatial distribution of existing and potential landslides in an area. Landslide Activity: The state, distribution and style of landslide movement. States of landslide activity can be active, suspended, reactivated and inactive. Distributions of landslide activity can be advancing, retrogressive, enlarging, diminishing, confined, moving, widening. Styles of landslide activity can be complex, composite, successive, single and multiple. Landslide activity can also be described as the stage of development of landslides. Pre-failure stage is when the slope is strained throughout but is essentially intact. Failure stage is characterized by the formation of a continuous surface of rupture. Post-failure stage includes movement from just after failure to when it essentially stops. Reactivation stage is when the slope slides along one or several pre-existing surfaces of rupture. Reactivation may be occasional (e.g. seasonal) or continuous (in which case the slide is ‘active’). Landslide Monitoring: System of measurements and observations using installed monitoring sensors and other equipment with the aim to observe changing conditions that may lead to total failure of the slope where slope movement is occurring and safety factors against sliding are low, or where the high risk is present by a possible slope failure. Landslide Mapping: The process of identification of landslide features on the ground surface aimed at cartographic representation of slope movement.